One of the best new features that is being implemented in OOTP Baseball 17 is the ability to run an exhibition series between any two teams that are included in the game database. In fact, OOTP Developments has even put together a best 16 team tournament of champions bracket to show off the new feature. Since they were doing the best teams, I figured I would put together a series with two of the, arguably, worst teams in modern era of MLB history. Which teams did I pick? After somewhat exhaustive research (at least 2 or 3 minutes worth) I chose the 1962 New York Mets and the 2003 Detroit Tigers. In fairness to the Mets, it was their first season, while the Tigers… well, they just sucked out loud that year. How did it turn out? Well, it went 7 games, as a series between two of the worst teams ever should have. Here’s how the whole thing turned out, game-by-game. Things began really well for the Tigers as Alex Sanchez received a lead-off walk from Al Jackson (8-20 for the Mets in ’62,) who was then moved over to 3rd on a double by Warren Morris. Sanchez scored on a ground-out that moved Morris to 3rd, Morris then came into score on a sac fly by Carlos Pena, but after that shaky start, Jackson settled down and only allowed 1 more hit over the next 7 innings. As for the Mets, they got 1 in the 4th and another in the 6th off Mike Maroth (The last pitcher in the majors to lose 20 games, as he went 9-21 in ’03) before he was pulled for the bullpen. New York broke the tie in the 8th as they hit 3 consecutive singles to push in two runs and take a 4-2 lead. Bob Moorhead came on for the Mets, to get the save, in the 9th and they took a 1-0 lead in the series. Game two was exactly the kind of matchup that I was expecting out of these two teams as Jay Hook pitched 9 and 2/3rd innings of 1-hit baseball for the Mets, while Detroit’s starting pitcher Jeremy Bonderman threw 7 and 1/3 of three-hit ball. The game was decided in the 11th when Carlos Pena hit a 3-2 pitch out of the park for a series tying solo home run (which was only Detroit’s 2nd hit of the entire game) off of Bob Moorhead that gave the Tigers a 1-0 win. The 3rd game of the series featured another breathtaking pitching matchup between Detroit’s knuckleballer Steve Sparks and 24-game loser (8-24) for the Mets, Roger Craig. 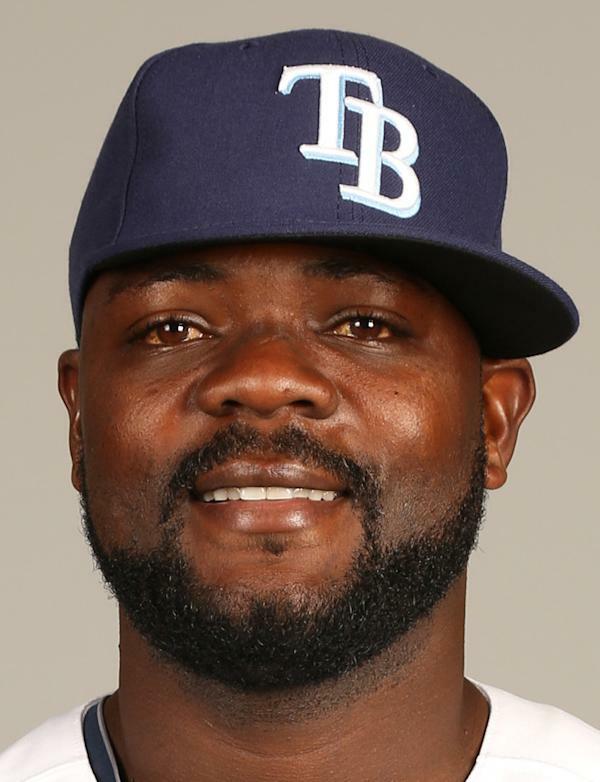 Both pitchers were able to complete 8 innings, but Detroit was holding onto a 2-1 lead when they handed the ball to Fernando Rodney whose crooked hat failed him as he blew the save after giving up a run-scoring double to Marv Throneberry. The Tigers were able to redeem themselves and get the win when Bobby Higginson hit a 2-run homer off of Ken MacKenzie in the top of the 12th, to put them ahead 4-2, a lead they never relinquished which gave them the early advantage in the series. With the Tigers clinging to a 2-1 series lead, they handed the ball back to Mike Maroth, but he was no match for Al Jackson. Jackson had a no-hitter going for 8 and 2/3rds (when he gave up back-to-back singles) before getting Dmitri Young to fly out to close out the 7-0 win for the Metropolitans. In game 5 of the Worst Series, the Mets took an early 2-0 lead after Choo Choo Coleman drove in a run with a double and scored two batters later on a sac fly. Detroit bounced back in a big way putting up a 5-spot in the top of the 3rd chasing Mets starting pitcher Jay Hook as he gave up 3 runs sandwiched between solo home runs by Brandon Inge and Eric Munson. That would be all that the Tigers would need as New York was only able to scratch out one hit in the remaining 7 innings, as Jeremy Bonderman and the Detroit bullpen closed out the game, for a 5-2 win, and a 3-2 series lead. With Detroit looking to close out the series at home, the Tigers manager surprised many by putting Nate Robertson on the hill instead of Steve Sparks, who had pitched a gem in game 3 earlier in the series. The Mets welcomed Robertson when Frank Thomas smacked a 2-run homer in the first inning. Thomas then put the game out of reach of the Tigers when he followed up his earlier homer with a 3-run shot in the 7th, as Roger Craig went the distance and the Mets took game 6, 9-2. It seemed only fitting that a series between two teams that lost 120 and 119 games respectively would go down to the wire. Detroit broke through in the bottom of the 1st with 3 singles and a sac fly leading to 2 early runs. The Mets got one back in the 3rd and another in the 4th as a 1-out single from Richie Ashburn scored Charlie Neal and tied the game at 2. At that point, Al Jackson took over and dominated the Tigers lineup throwing one shutout inning after another. With the game tied at 2 in the 8th, Choo Choo Coleman stuck again driving in Charlie Neal with a single that gave New York a 3-2 lead. Jackson shut down the Tigers again in the 8th, he then gave the ball to Bob Morehead to try and get the save to win the series. Carlos Pena struck out to begin the inning, but the Tigers were given new life when Eric Munson singled to put . Morehead struck out Bobby Higginson which brought pinch hitter Kevin Witt to the plate to try and keep this game alive, but he ground weakly into a fielder’s choice at 2nd and the series was over, as the Mets took game 7, 3-2. Well, it’s clear that Al Jackson was the star of the series as he went 3-0 with a 1.44 ERA through the series. Also, the Mets clearly had better hitting in the series as 5 players had batting averages of .267 or better (with Elio Chacon hitting .360.) As far as the Tigers outside of Sparks’ pitching performance in game 3, they were a pretty pathetic team. So, there you have it folks, with the Mets taking the series 4 games to 3, it is clear to me that the Detroit Tigers are the true winners of the Worst Series and are now (in my opinion) the worst MLB team in the modern era. Thank you to OOTP Developments for the review code for the game. This entry was posted in Baseball, Gaming, Glen, PC, Sports. Bookmark the permalink. Nice job. Thanks for sharing.